This is my first participation to the Battle food, a French food challenge organised by Carole from Sunrise Over the Sea‘s blog. If you want to know more about it, please check the French version of this post. 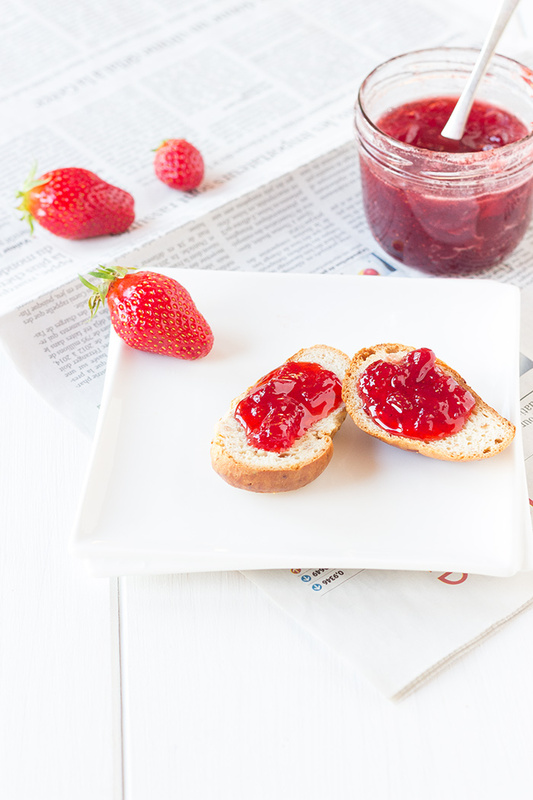 This month theme is the sweetness of our childhood and for me that was definitely strawberry jam. Yes, this very classic jam, bought by my mother or home-made by my granmother. 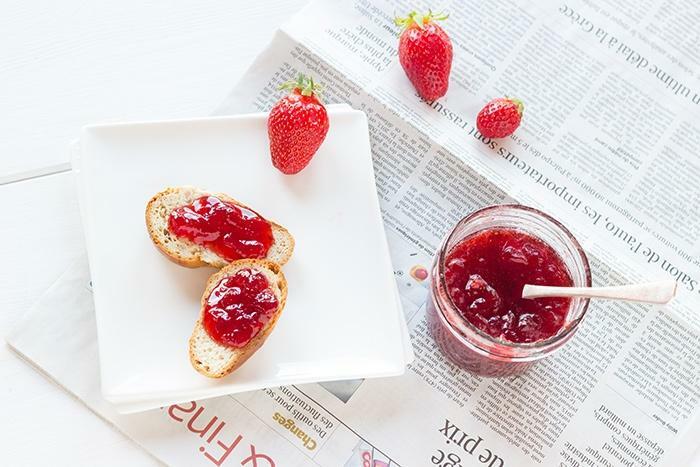 Strawberry jam was my breakfast but my afternoon snack as well on a piece of bread on top of a large layer of butter. And when my granma was forgetting the jam and it was cooking too much time, her jam was transforming itself into a delicious fruit paste. She was cutting some for my sister, brother and me; and rolling it into white sugar so it definitely looked like fruit pastes. Some sweet little candies before playing again. The recipe is below , an easy one, but simple things are often the best. At least for me. Wash and cut strawberries. Add lemon juice and sugar. Mix with strawberries and leave to rest for one night in your fridge. Cook for 45 to 50 minutes on medium heat removing foam regularly. 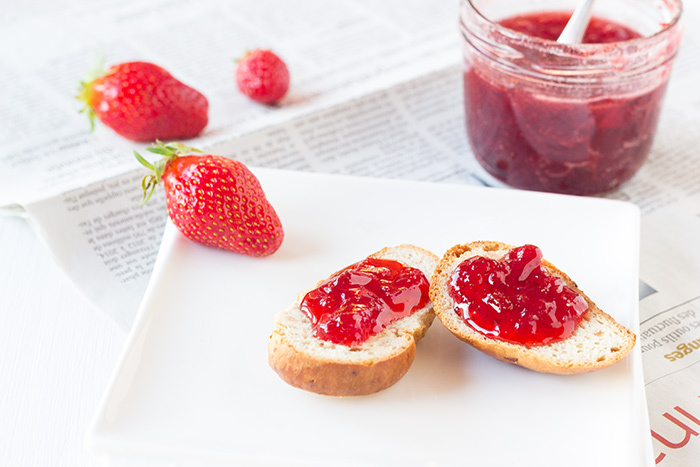 Drop a bit of jam on top of a clean plate and if it sticks fill in your sterilised jars. Thank you very much for reading. Do not hesitate to register to the newsletter or follow me on social media to receive the latest recipes of a French girl “cuisine”. Thank you very much for your comment and thank you very much as well for the share ! Nice to meet you too !